South by Southwest Interactive is a festival that used to have a reputation as the place to create a buzz for a new social network or product. Yet these days, SXSW's focus is less about developing apps, and more about developing society. A society that, thanks to technology which some of these attendees created, feels in need of repair. One of the most interesting products being discussed this year isn't new at all. But while its ugly aesthetic - and often, ugly content - is alienating to many, there is much to admire. In fact, I'd go as far as to say Reddit provides a model for how to create a more interesting, fairer web. A model that doesn't drag down other publishers in the process. Reddit's system - where users upvote things they like, and downvote things they don't - is about as transparent as it gets on today's algorithm-dominated web. You can see how many votes each item has attracted, with a few exceptions. You know which user posted it and when, and what the source of the information is. You can choose to rank your own page accordingly - adding and subtracting topic pages, known as subreddits, to your pleasing. Contrast this to the black box of Facebook, an impenetrable tangle of calculations which are a mystery to everyone outside its HQ, and I'd wager to most inside too. With Reddit, though, it's right there on the homepage. As I write this, the top item on the site - about a person conquering drug addiction - is there because 49,600 people felt it worth my attention. This voting system has its downsides. Putting Reddit's mechanics out in the open makes it easier to game the system. 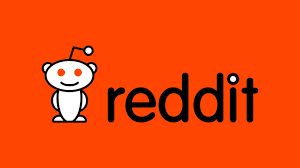 Steve Huffman, Reddit's co-founder and current chief executive, remarked at length at SXSW about r/The_Donald, a subreddit used by President Trump's supporters and Trump himself during his 2016 campaign. Despite calls from some users that the section be taken down for flouting rules on hate speech, Mr Huffman has stood firm on keeping it up, with a few measures to limit its spread. "It's crass and offensive and that is part of their identity," he said. "[But] there's a difference between conflicting with our values and conflicting with our content policy." Most troubling to observers is The_Donald's role as a thriving hub for conspiracy theories. It may not be the origin of vicious content - such as suggesting school children involved in shootings are actors - but it is the leading amplifier. So, it was no surprise to many that Reddit was - like Facebook and Twitter - a target for state-backed Russian trolls. "We've had a handful of conversations with Congress," Mr Huffman said. "They're asking what's going on. We're on the same team." Reddit's problems with propaganda - and other unsavoury content - shouldn't mask the positive effect this site has on the internet at large. This is the healthiest way to maintain the internet economy - it gives content creators the best chance of making the most of these eyeballs. A front-page Reddit spot typically delivers millions of views - though this can be a mixed blessing: sites unable to handle the load refer to this as the Reddit "hug of death". Crucially, Reddit does not currently insert itself as a middle man to skim off advertising dollars. Once you click the link, you're gone. By contrast, Facebook and Google have developed faster-loading page formats. These are being used to serve ads to sites that had typically earned revenue independently - though Facebook and Google would argue they're creating a bigger pie. And that's just the beginning. When Facebook ramps up its efforts to sell subscriptions to others' content, its grip on their financial security will get even tighter. At a separate panel at SXSW, Facebook's head of news, Alex Hardiman, spoke about the company's attempts to promote "quality" news over untruths or clickbait. Reddit offers a solution, giving prominence to articles that users feel are important and/or enjoy rather than simply "engage" with. This is an often overlooked difference between these two networks. As it stands, Facebook doesn't care if your reaction to something is positive or negative, so long as you react. In all its efforts to help users flag offensive material, Facebook has failed to a create a tool to let them signal that something isn't worth their time. Under Reddit's upvote/downvote system, clickbait headlines often sink quickly, while long, descriptive titles, leading to genuinely insightful information, thrive. The Reddit community, more often than not, rewards originality and creativity - and punishes inauthenticity. But there are difficult times ahead for Reddit. Its team of just 300 or so is ill-equipped to tackle some of the issues it faces. For starters, Mr Huffman's suggestion that users can competently self-regulate the site is misguided. YouTube once believed the same, and look where that got it. Mr Huffman himself may be a weakness - his reckless decision in November 2016 to secretly edit the comments of Trump supporters was breathtakingly stupid and only energised those convinced the world was conspiring to silence them. "I've had a lot of time to reflect on this," he said about the incident. "I will say to our community team, I'm sorry. I ruined their holiday. To The_Donald, they'll be just fine." He should be sorry. The edit infuriated a huge number of Reddit users, not just Trump supporters, and highlighted that the platform's self-governance was not mature. On the same day that Mr Huffman appeared at SXSW, the web's inventor - Sir Tim Berners-Lee - published a letter. "What was once a rich selection of blogs and websites has been compressed under the powerful weight of a few dominant platforms," he wrote. Reddit has the power to help reverse this trend.